Photo courtesy of LG Realty Group. Miami’s diversified art scene has swiftly developed into a creative mecca for emerging artists and art connoisseurs. Over a twenty year period, neighborhoods like the Design District and Wynwood have provided working studios and gallery space for established and emerging artists. This creative movement, which has cultivated a diverse and eclectic art scene unique to South Florida, has its roots in the Buena Vista community of Miami. This area later became what is now known as the Design District. During the 1920s, T.V. Moore, the “pineapple king,” transformed one of his pineapple plantations into what became downtown Buena Vista (NE 40th Street). 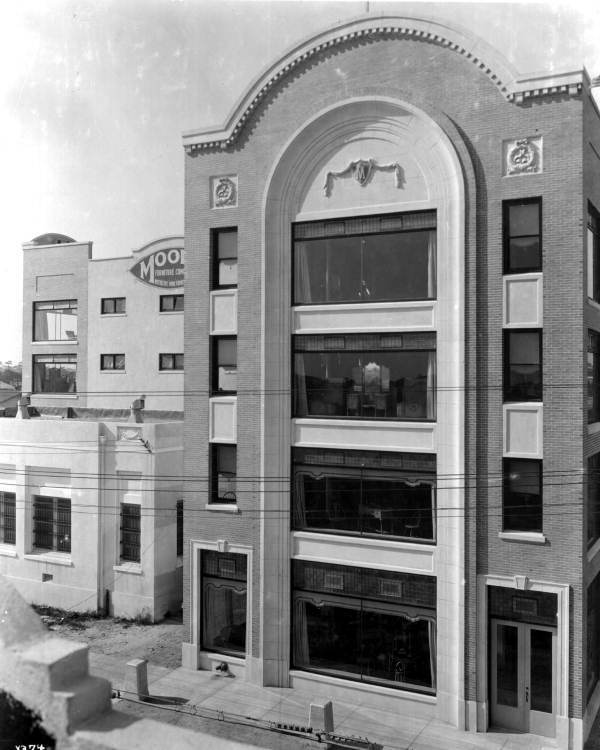 His imposing Moore’s Furniture Company building opened in 1921. Moore also built a large home and subdivided much of the area now called the Buena Vista East Historic District. In 1924, Buena Vista was incorporated as a town, but was then annexed by the City of Miami in September 1925. By the late 1920’s Moore focused less on his pineapple plantations and more on developing Buena Vista. Richard Plummer, an interior decorator who served the rich and famous new residents of Miami, assisted Moore in further developing the area. Their powerful influence transformed Buena Vista into the Design District, a center for home furnishings. The Moore building defined the District’s center. During the 1980s, business declined in the Design District because of a brand new shopping center for home goods in Broward County named the DCOTA (Design Center of the Americas). This furniture mall, located off of I-95 in Dania Beach, enticed businesses to move their showrooms into the DCOTA, which served developers in Broward while still easily accessible to their established customer base in Dade County. By the early eighties, the Design district had almost been abandoned. Real-estate entrepreneur Craig Robins began purchasing buildings throughout the Design District. He then persuaded numerous top designers like Alison Spear, Holly Hunt and Peter Page to relocate to the Design District. Other businesses such as various art galleries also began to move into the area. The Design District now houses over 130 art galleries, showrooms, creative services, stores, antiques dealers, eateries and bars. The Moore building has recently been converted into a new contemporary art museum known as the Institute of Contemporary Art. The District continues its evolution with the construction of a new high-end shopping center. The Design District is bordered by NE 36th Street to the south, NE 43rd Street to the north, NW 1st Avenue to the west and Biscayne Boulevard (US 1) to the east. This entry was posted on Monday, December 8th, 2014 at 6:32 pm and is filed under Design District, Miami, Uncategorized. You can follow any responses to this entry through the RSS 2.0 feed. Both comments and pings are currently closed.